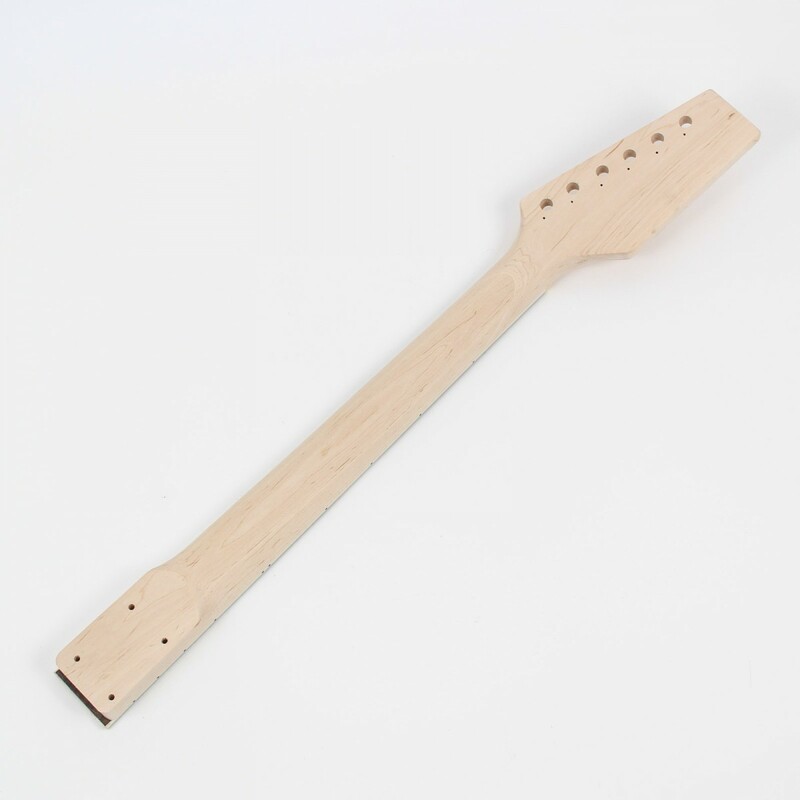 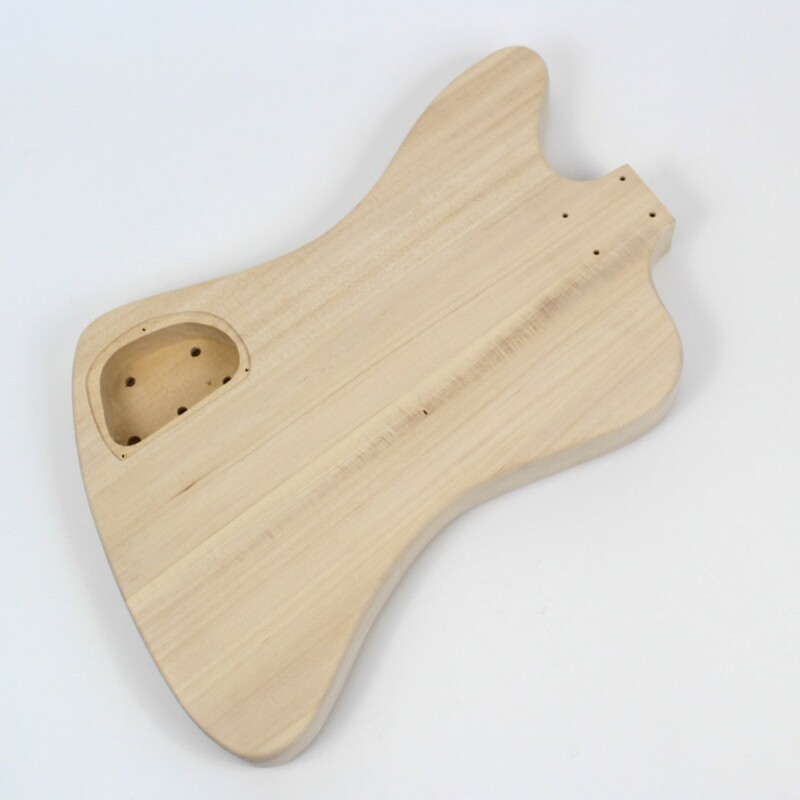 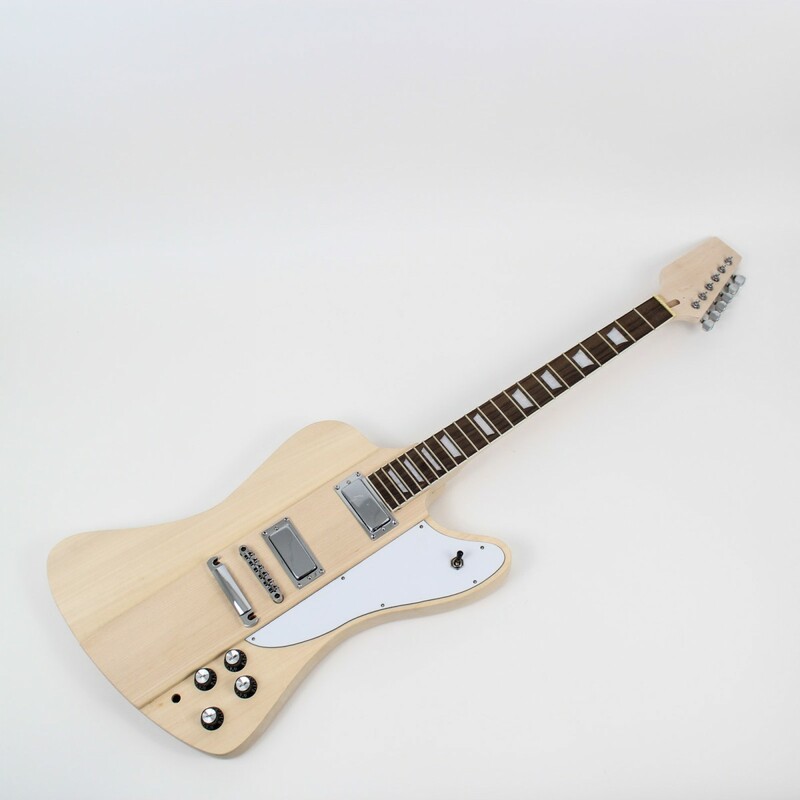 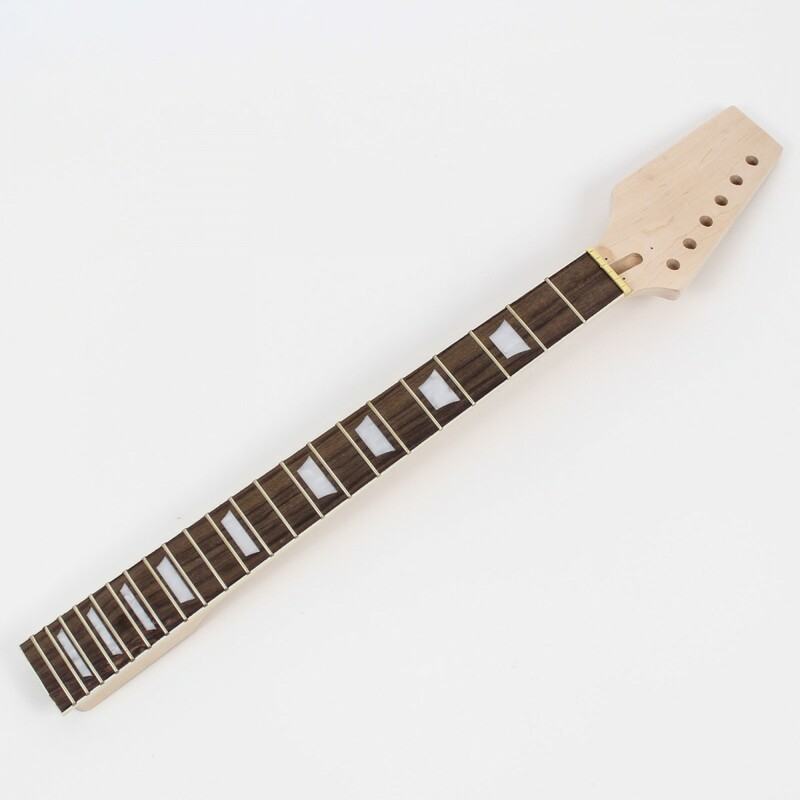 Now you can own this unique shaped guitar inspired by the Gibson Firebird of the 60’s. 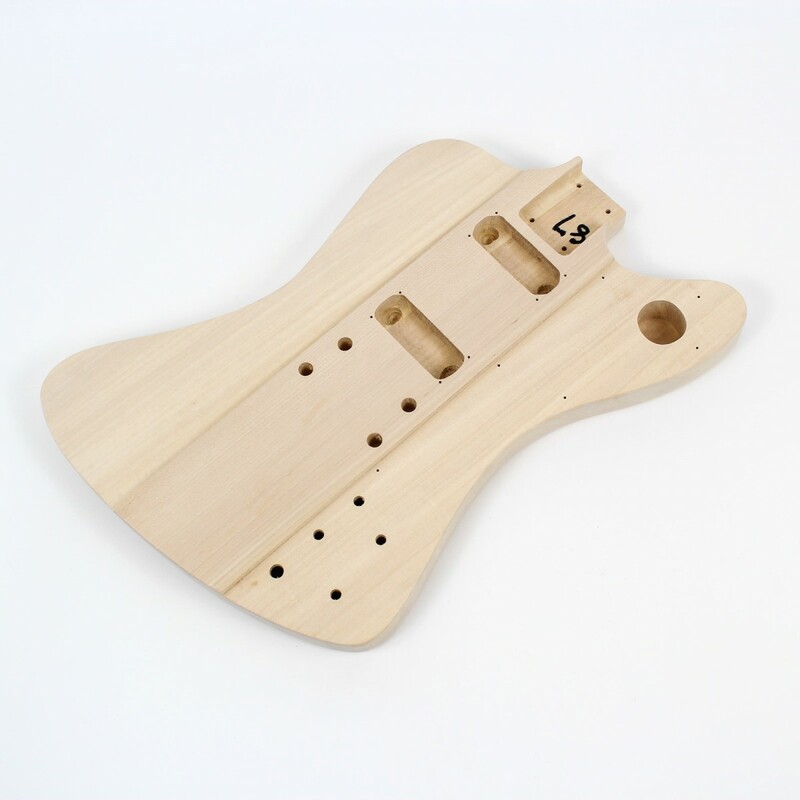 The reverse body and headstock design plus the covered pickups and white pickguard combine to produce a vintage look that you’ll be proud to have in your collection. 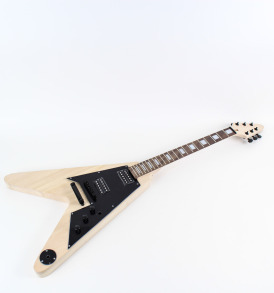 If rock is your scene, we don’t need to say any more. 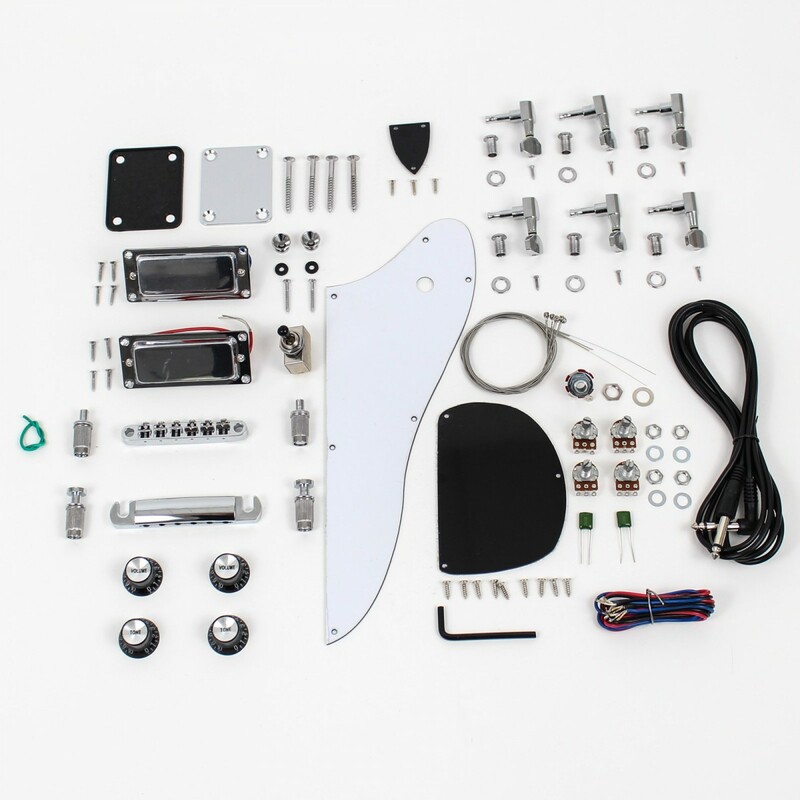 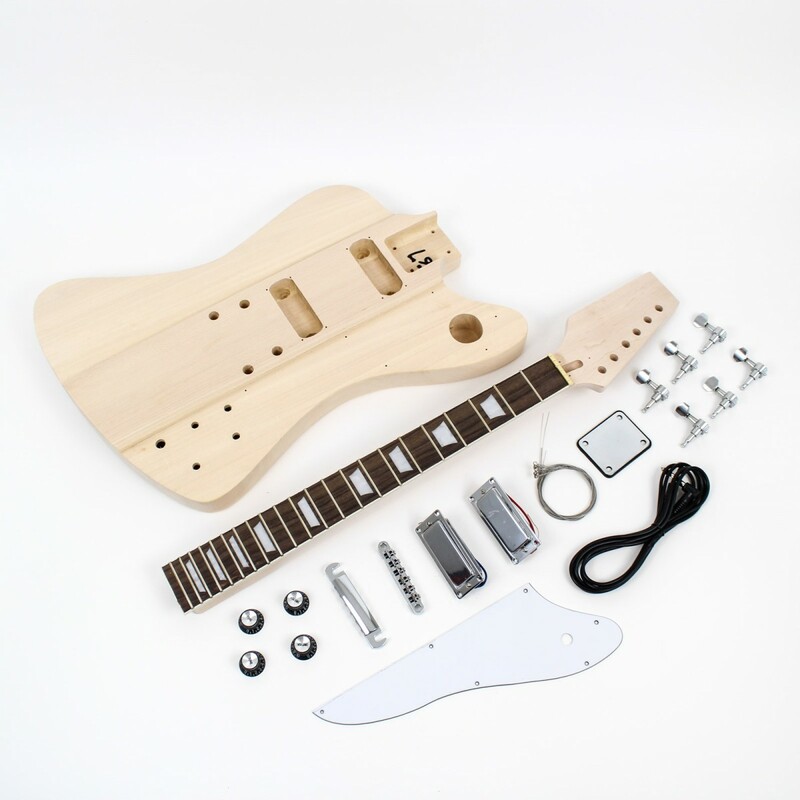 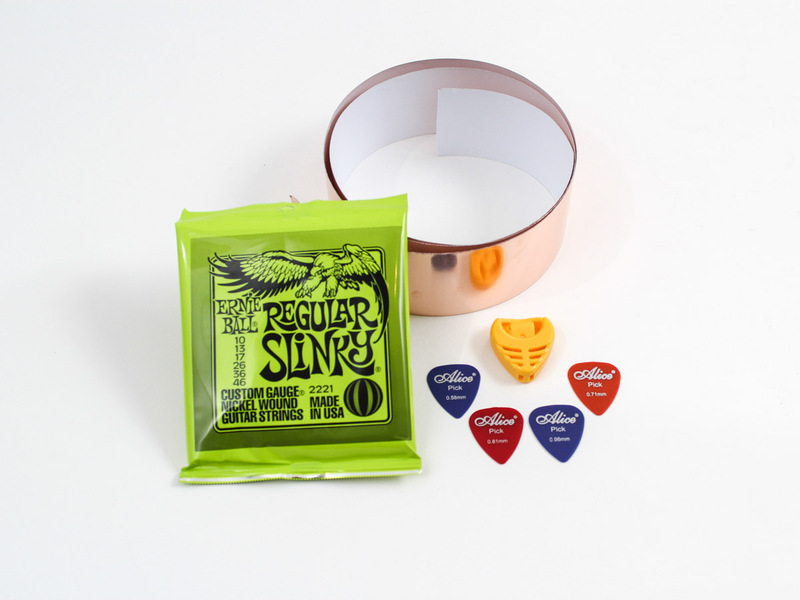 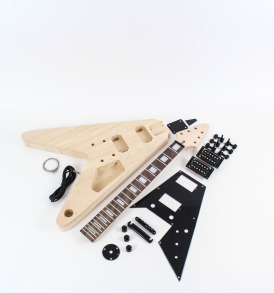 The kit includes the body, neck, pickups, bridge, tailpiece, posts, machine heads (tuners), volume/tone knobs, neck plate, pickguard, cavity cover, truss rod cover, strap locks, pots, capacitors, switch, output jack, screws, sleeves, bolts, washers, insulated wire, solder, lead, starter strings, allen key. 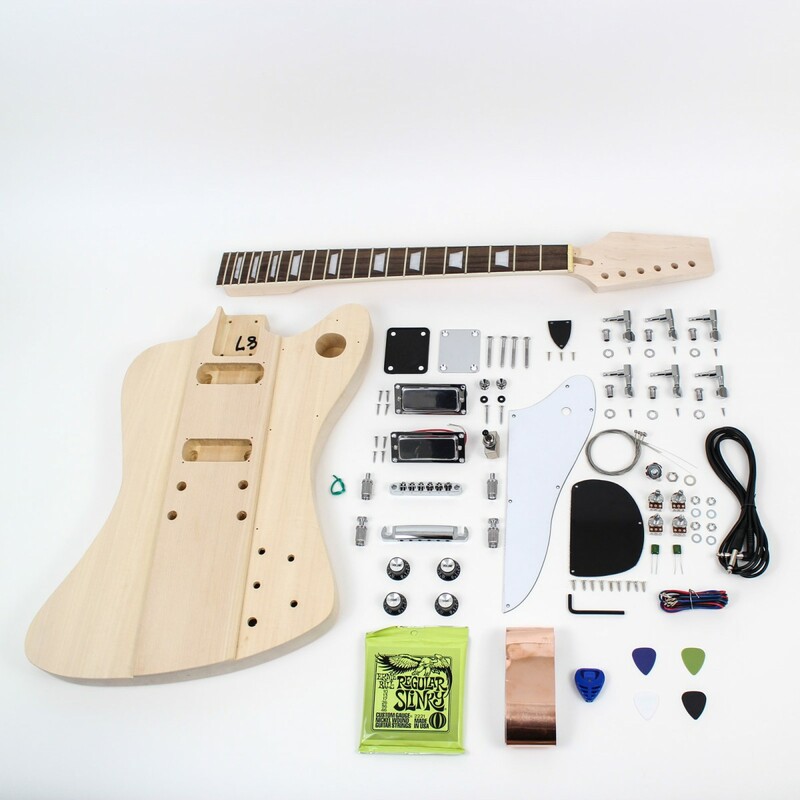 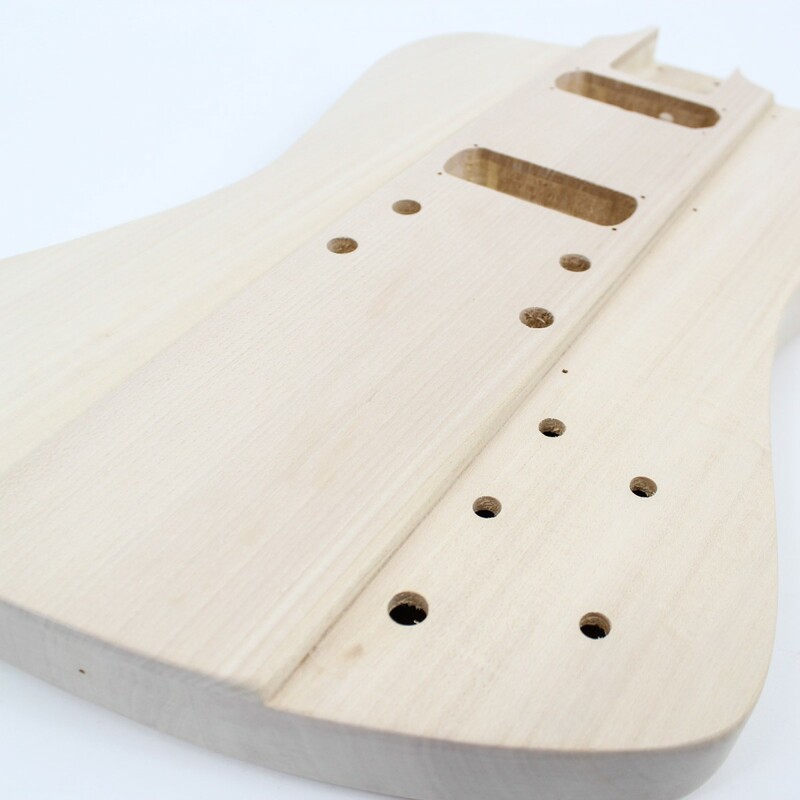 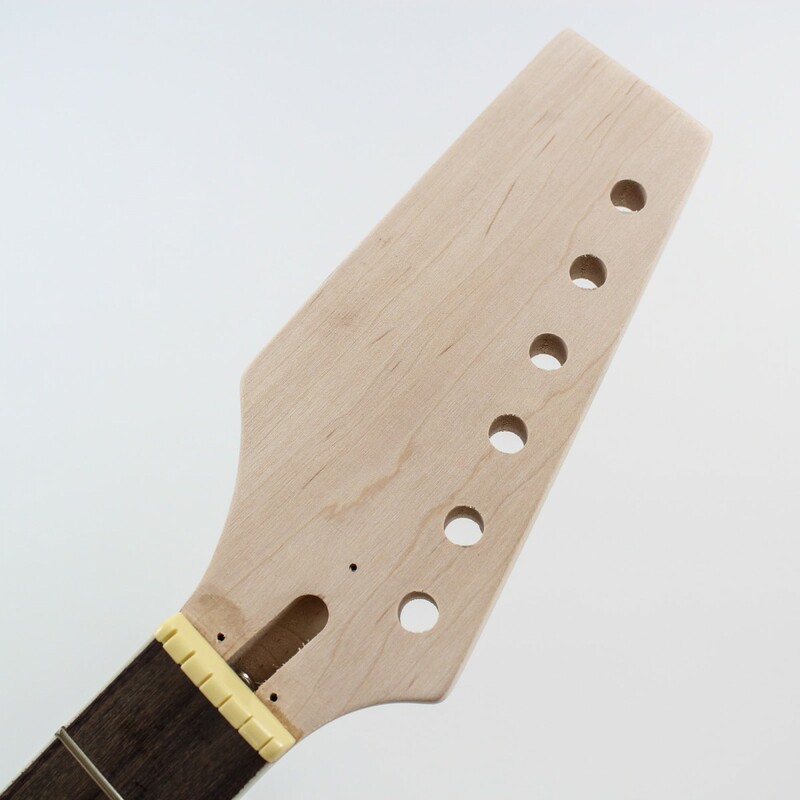 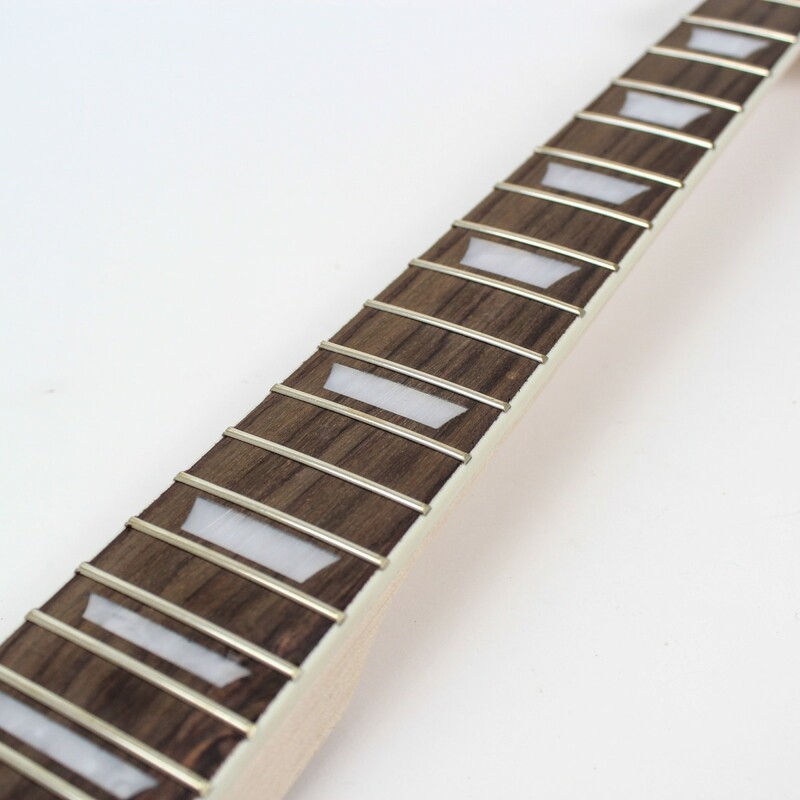 Follow DIY Guitars’s board Gibson Firebird on Pinterest.